Well, I apologize in advance for any slow response times to comments and the inability to read around at everyone's blog posts! We had such an amazing turnout yesterday for Manic Monday, and it's just getting started! I feel bad when I can't enjoy everyone's posts who took the time to linkup and participate. At least not right this second! I shall catch up this weekend! I'm not even joking when I say I came up with this outfit lying in bed debating on whether or not I wanted to go to work. I had been fighting migraines all week and was not feeling the best that morning. I did what any girl does first thing in the morning and grabbed my phone to see what the latest was on Instagram. You know, in case I missed something while I was sleeping. Well, luckily I ended up seeing this post which led me to order this vest (seen here) at 6 in the morning, while lying in bed. Seems silly, but by 9am that same vest was backordered, so thank God for Instagram, amiright? Anyhoo - I'm getting off topic here! After being gently persuaded to take the plunge and buy that vest, I was checking out Emily Gemma's other posts and came across her outfit here. And that outfit was the motivation for me to get out of bed and get dressed. 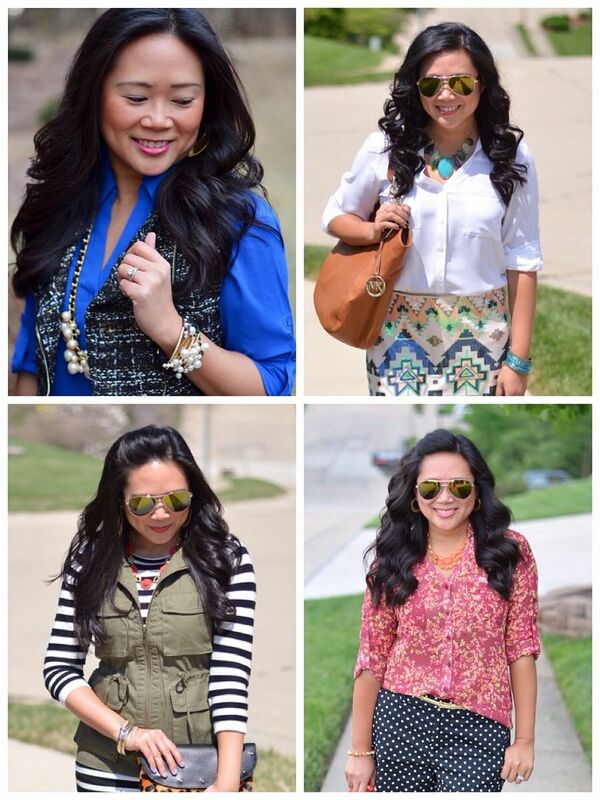 Looking back at these photos, I can't help but be thankful for my curling wand. It has just done wonders for my hair, and I love the way it looks. Not only that, but I feel like these curls last a long longer, too. Remember my tea party look here? That was second day hair. I didn't re-curl it at all. I had to do a side by side comparison for you guys. The photos on the left were done with a traditional curling iron. The photos on the right were done with my curling wand. Definitely two different types of looks, but the wand just gives my hair more depth and texture. Yes, a little more time consuming, but certainly worth the results in my opinion. If you missed my video tutorial on how I use my wand - you can catch that here! How do you think your hair looks best? And am I the only one who looks at Instagram before I fall asleep and as soon as I get up?! Instagram is great for outfit inspiration! So funny that was what got you out of bed! 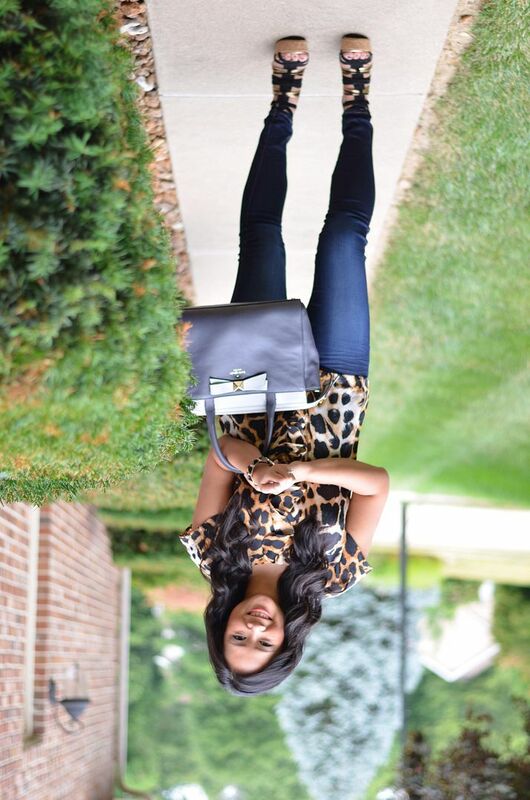 The leopard top and wedges are such a cute look! I'm addicted to IG right now, not sure why! But you're right - so much inspiration that you can scroll through at a pretty easy and quick pace! Glad you can relate! I'm a little IG obsessed. I might need a support group =) Love the leopard top! Is this some kind of not-so-subtle hint about Instagram??? If it is, it's working. I hate missing out on cute outfits that people are posting. Love seeing the side-by-side of the curling iron vs. curling wand! I actually like both styles a lot! Thanks for the hair love! Thanks so much - that means a lot from you because I gush over yours all the time! So chic! Love this whole look and your hair is so pretty! Thanks, Lee! I wish it wasn't so time consuming, but I'm truly obsessed with this wand! Yes, it definitely is! I can't believe how much I love it! I am loving your hair. Maybe I should get a curling wand! I haven't been able to get my hair to look like that with a curling iron. I never got my hair to look like this with a traditional iron! And the one I'm using was just around $30, so not breaking the bank! Worth the try! Lol, I thought I was the only one who checked Instagram as soon as I woke up! 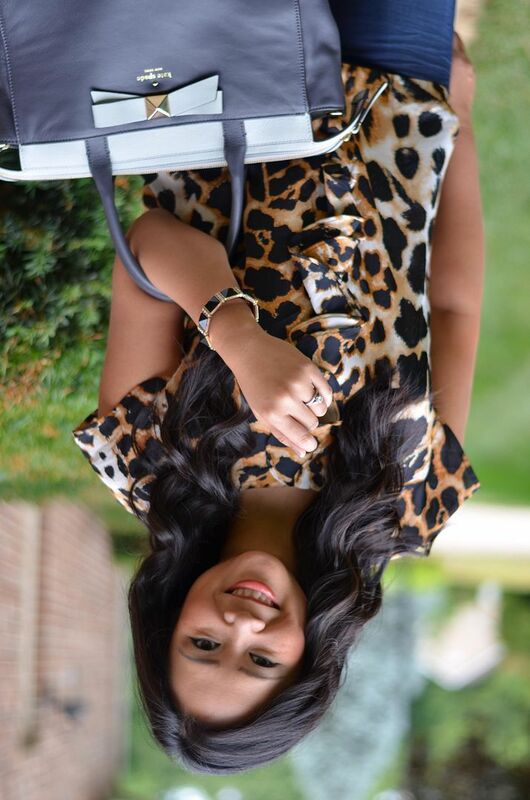 Emily has such great style and I love your leopard top! I will have to try the curling wand since your hair always looks amazing! Oh I totally know what you mean! It's trippy to hear a voice of a person whom you've kind of concocted in your head in your own way! Thanks for the description! Very sweet! And seriously. I can't take credit- it's all this wand!! Love this leopard top! Your hair looks amazing both ways, but I do love the effect the curling wand gives. The curling wand is just the best. I never knew my hair could look like this. OMG love this look!! 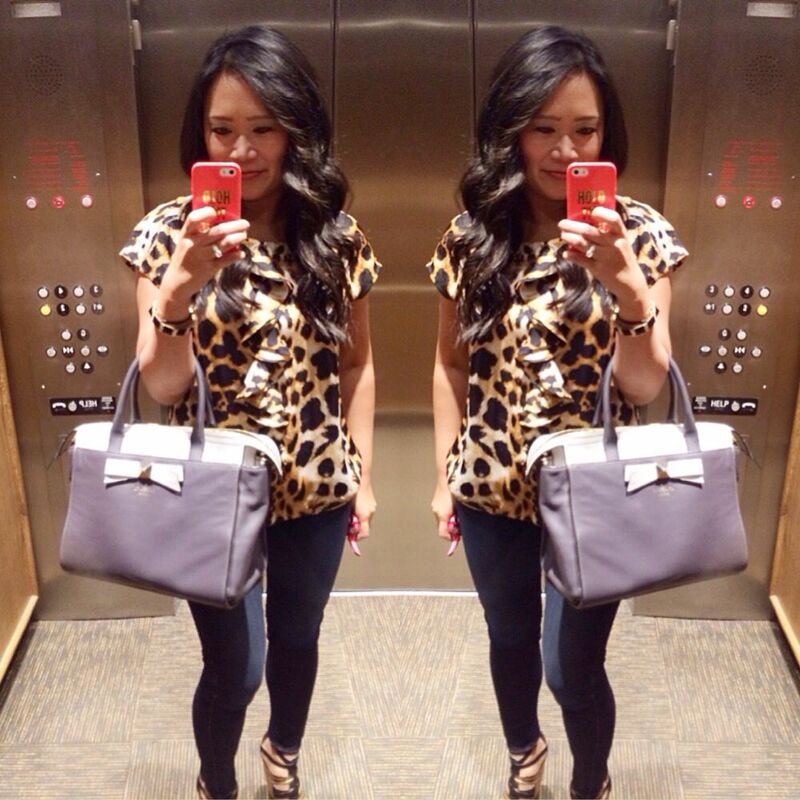 That leopard top with the bag is gorgeous! I always think of outfits laying in bed too haha! Then I wake up and can't remember it and I'm so mad because it was the perfect outfit hahaha! Yep! That happens to me a lot, too! I need to make notes on my phone or by my bed or something so I won't forget!! Ha, I also look through all the emails, fb, instagram, etc on my phone before getting up! 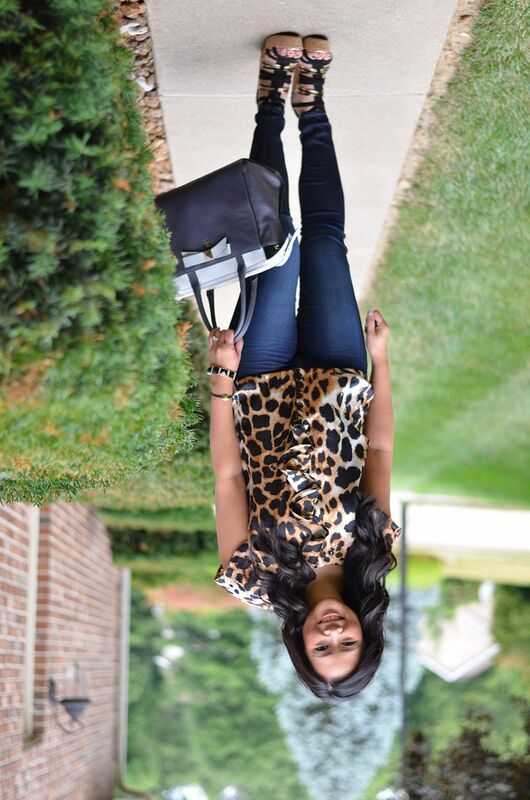 I love that leopard top - it looks so cool, but still comfortable! This was probably my best Marshall's find to date! The top really is great and I've had it forever! 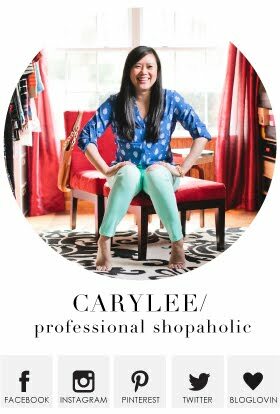 You can never go wrong with leopard print Carylee! Your hair is looking super amazing today! It must be great to have such versatile hair. Love the top and your hair is always so pretty. Love this top! Super cute. Oh that's so fun!! I do love it!!! Buying vests at 6am!!! Haha, that is one feat that I have not achieved. But it did work out bc that vest is super cute! Love the hair curled both ways! Yep - I really like the vest even though it was over saturated in blog land. I gotta admit - it's nice! And thanks! I'm always jealous of your hair! 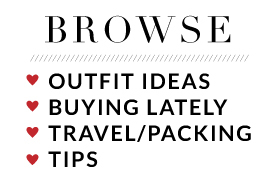 I come out with some of my best outfit ideas laying in bed, right before I fall asleep! ;) Great looks and I really love that leopard blouse with the ruffles! Such a pretty look! 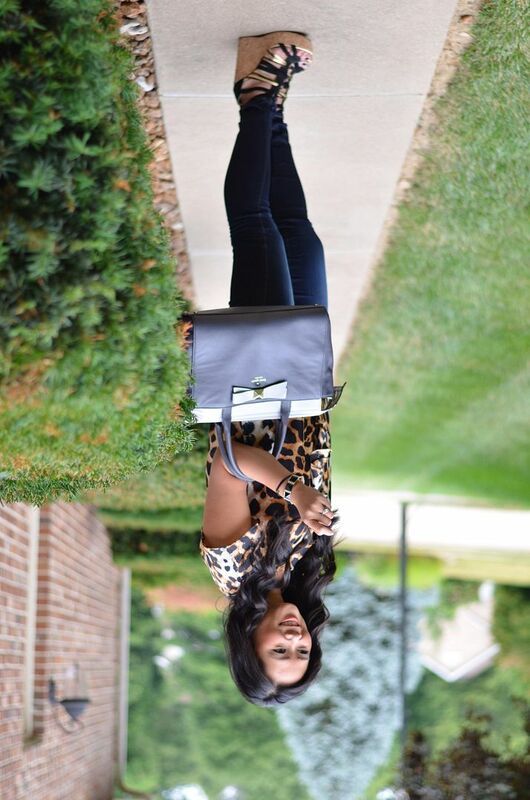 I'm loving the leopard print and those wedges are to die for! Hair looks amazing! Looking hot girl! Gorgeous top!!!! I love it! I hope your migraines get better and less frequent!! Thanks for the get well wishes! Migraines are the worst!